Four years in the board of an AEGEE antenna. That doesn’t happen so often. Athina Siamidou did it. A few days ago, the former President of her antenna finally handed over the responsibility for AEGEE-Thessaloniki in new hands. 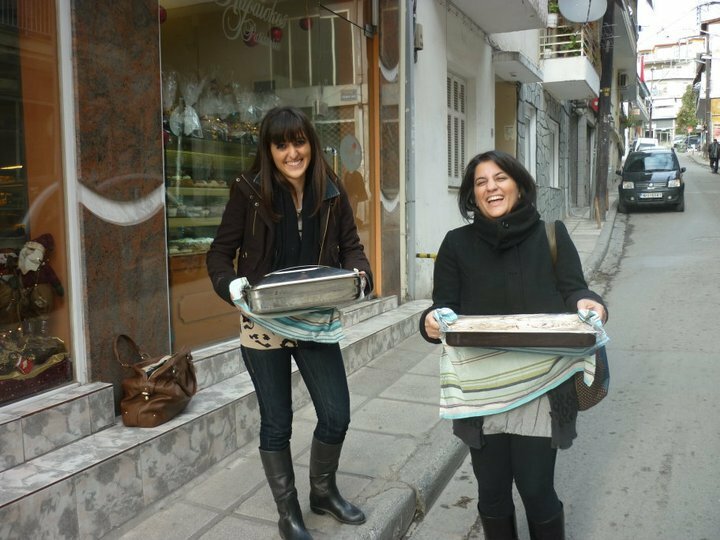 “It’s really beautiful to see that the new members of our local appreciate my work and efforts all these years”, Athina told the Golden Times. Read more about her strong commitment, motivation and dedication in the following interview. Golden Times: Athina, how long were you member before you joined the board? 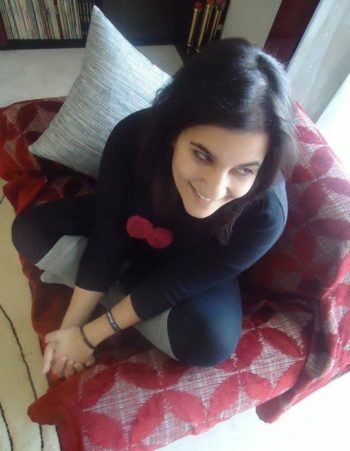 Athina Siamidou: I became a member of AEGEE in February 2009 and I was elected as a member of the board of AEGEE Thessaloniki three months later. 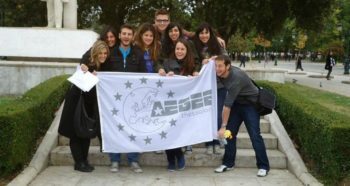 Golden Times: Your antenna wrote on Facebook: “Every single one of us was motivated by her energy to join AEGEE. She guided us and she showed us that nothing is impossible. The least we can feel is grateful! We love you!” How do you feel about that or reply to it? 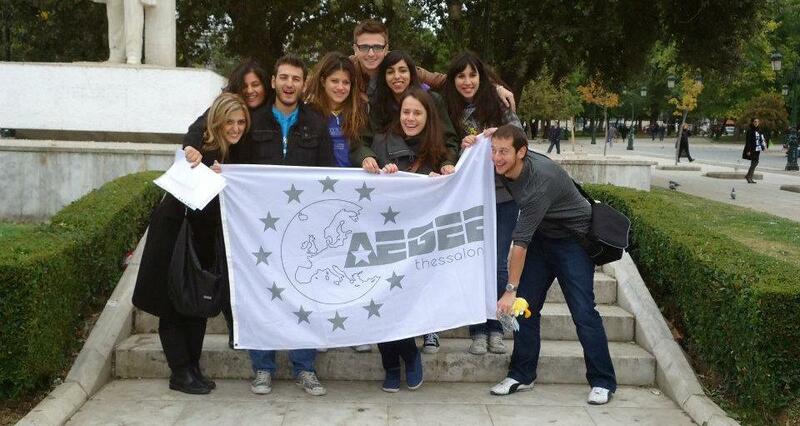 Athina: I was definitely flattered by this status update of AEGEE-Thessaloniki on Facebook. It’s really beautiful to see that the new members of our local appreciate my work and efforts all these years. Doing some self critique I would say that I made a lot of mistakes as the president of AEGEE-Thessaloniki… I didn’t manage to share a lot of responsibilities to the rest of the board, I couldn’t motivate a lot of people to become active members on the local level etc. Nevertheless, we now have a brand new board, ready to give a fresh touch in AEGEE-Thessaloniki with all the support of the previous boards and old members!! Golden Times: A few words about you: how old are you, what do you study? Athina: I am 26 years old. I am a biologist with a master on environmental education. I have just finished with my European Voluntary Service in Asturias, Spain. In the past I have worked as a youth worker for a cultural NGO at a beautiful natural reserve of North Greece called Prespes. Nowadays, I am looking for a job as a science teacher or as a youth worker and at the same time I m doing some voluntary work in Thessaloniki sending EVS volunteers abroad, coordinating environmental education projects in highschools and more. 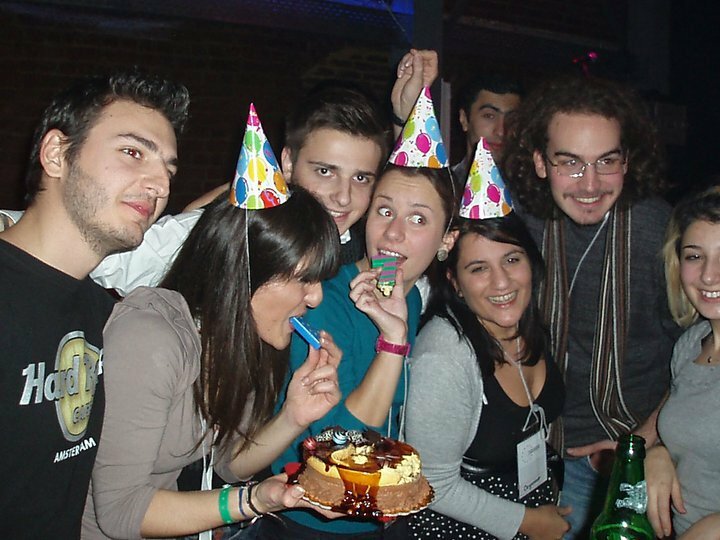 Golden Times: How did you join AEGEE in first place? Is there an interesting story? Athina: I wouldn’t say it is such an interesting story. I was introduced to AEGEE from my cousin Anatoli Tsakalidou, who at that point was the president of AEGEE-Thessaloniki. She motivated me a lot to apply for my first event that was the “Sustainable SCANdinavia” organised by the flagship project “Sustaining our Future”. Two months after that Anatoli and I organised the Network Meeting “NWM in Thessaloniki: Reviving the Network” – with the coordination of Manos Valasis, who was at the moment our Network Commissioner, and with the help of a lot of experienced members of the rest of the Greek-speaking antennae. Golden Times: What motivated you to do join the board? Athina: I joined the board being a member only for three months. Since our antenna was almost without any active members at the moment I don’t think I had a choice… I became part of the board to keep the local alive and on the road participating in different events all over Europe I got motivated to do the best I could for AEGEE-Thessaloniki. I think my main goal was to organise events in Thessaloniki, so as to see all my AEGEE friends again and show them our breathtaking city! Golden Times: A really magnificent city! You had different positions in the board, including President. What do you consider your greatest achievement of being in the board? Athina: I managed to take a group of random people and turn them into a group of friends willing to do things together. From a group of maximum five people actively involved in June 2009 we ended up in December 2010 a group of more than 15 AEGEE friends organising the European event “Creating Transparent Borders” with the support of the Aristotle University of Thessaloniki, contributions from different local and national NGOs. Golden Times: Four years is a long time. You never had moments when you thought about quitting the board? Athina: Four years is a very long time and I thought of quitting the board three times. First time I wanted to quit was after the Agora Leiden in 2010. Fortunately, I participated as a trainer in the Environmental Working Group event “Shake the Planet” of AEGEE-Sofia a few months later. It was a really inspiring event that gave me a lot of energy to use returning back to my base! That was the point that we organised the “Creating Transparent Borders” event mentioned above. Golden Times: What was the second moment of crisis? Golden Times: What kept you motivated? Athina: The fact that kept me going on was the support of the rest of the board and old members and my participation in the Agorae Alicante and Skopje – with the organisation of the Pre-Agora Network Meeting in Thessaloniki. Last time I wanted to quit the board was this last six months. After all these years in the board, managing things from here or from abroad, I believe it was the time to pass on… At last, there is a new group of people motivated to keep on with the good work in our local! Good luck to our new board, Arsenis, Ioannis, Eleni and Despoina! Golden Times: You were active also on European level, as Secretary of the Environmental Working Group. How do you remember that time? Athina: Being part of the EnWG board was a really interesting experience. The only thing that was difficult for me was to work mostly online with the rest of the team, since I am a person that needs a lot of physical contact. Anyway, looking back to that period now I believe that we offered some really beautiful initiatives to the network. Golden Times: Weren’t you more interested in other European tasks, such as Network Commissioner or CD? Athina: I candidated in May 2012 for the position of the Network Commission Assistant. I believed that with all my previous experience on both local and European level, I could be of some help. Unfortunately, the Network Commission didn’t share the same point of view. Golden Times: That’s a shame. 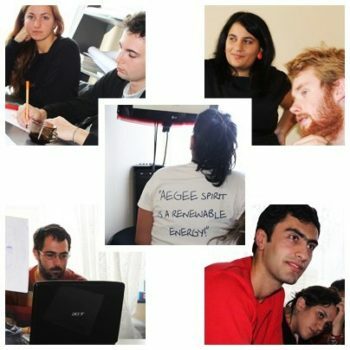 The Environmental Working Group wrote about you: “She is really interested in education for the environment because she believes that’s the only way the environment can be protected.” How do you see the state of education for the environment in Greece and other European countries? Athina: I have a concrete opinion that I can share about the state of education in Greece, but I couldn’t do the same about the rest of the European countries. Formal education structures in Greece give more emphasis on environmental education and education for sustainability nowadays. The students of high schools can participate voluntarily in the environmental education projects organised by their schools, the Environmental Education Centers all over Greece are working pretty well, preparing a lot of educational material, organizing environmental education trainings and more. Athina: These are some nice steps, but definitely there are not enough. I believe that environmental education should be done through different kind of methodology, for example experiential education or non-formal education. Emphasis should be given to active citizenship. In the end of the day, sustainability is another social issue that should be fronted with everyone’s active participation on the local level. Think global, act local! Golden Times: How can politicians improve this? Athina: I believe there should be given more opportunities for cooperation among the different NGOs and environmental groups as well as with the formal education structures. Schools should be more flexible and open to the neighborhood, the local councils, the NGOs, the parents and not stick on the totally teacher-oriented structure they have now. Golden Times: In those four years in the board of your antenna what was your favourite event that you attended? 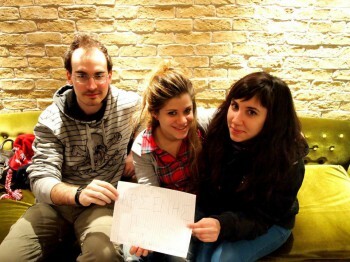 Athina: My favourite event was definitely the “Creating Transparent Borders”, 16-22 December 2010 in Thessaloniki. I have never been a part of such a great organisers’ team. The trainers did a great job. The participants formed an incredible group and came up with some really nice results. A huge thanks to Anastacia, George, Nena, Konstantina, Ioannis, Nickolas, Paris, Dimitra, Stella, Panagiotis, Mary, Omer, Rufat, Parvin, Harris, Despoina, Spiros, Efi, Kalli, Berit, Alexey, Argin, Cafer, Umutcan, Andrea, Frederique, Madlen, Sabina, Marija, Burak, Stefan, Jeyhun, Akel, Christine, Angelos to make this incredible experience possible for me. Golden Times: Are you planning to quit AEGEE any time soon? Athina: Time will show… I haven’t thought about that yet. Golden Times: What other hobbies do you have aside from AEGEE? Athina: Learning foreign languages, reading books, travelling, bicycle, singing, dancing, cooking (and eating my food), volunteering in Thessaloniki, knitting… the list can go on forever! 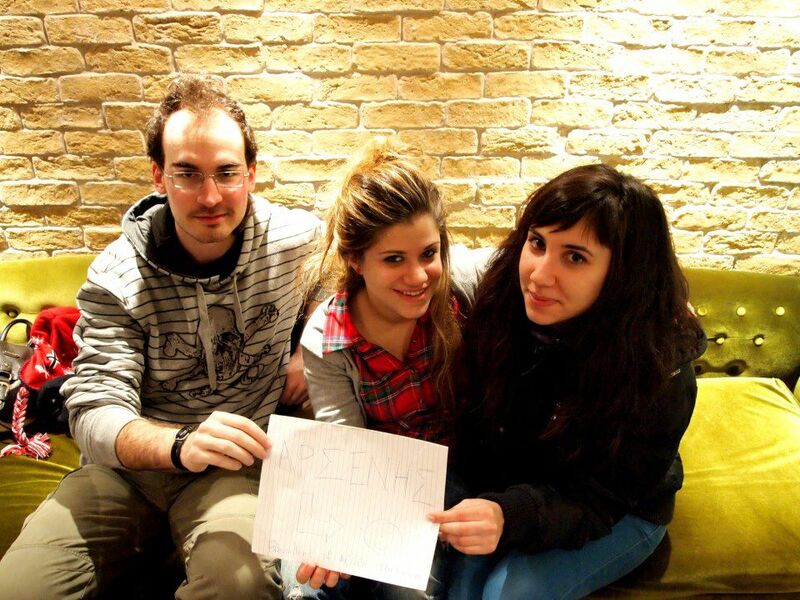 Athina: AEGEE is for me an opportunity to see old friends and make some new ones.